Review: Nothing makes you feel old like being asked to review a kids’ show. And nothing makes you feel useless like the same task. How exactly am I, a bitter, cynical adult, supposed to know what the kids are into these days? You’ll have to take my thoughts on Prince of Peoria with a pinch of salt. I think it is mostly fine, which means it might very easily be a masterpiece or an utter travesty, depending on who you ask. Written by Nick Stanton and Devin Bunje, the 16-episode first season of the multi-cam sitcom concerns Emil (Gavin Lewis), a 13-year-old prince from a wealthy but still suspiciously fake-looking island paradise who masquerades as an exchange student to move in with Teddy (Theodore Barnes) and his mother, Regina (Cynthia McWilliams). Which means it’s basically Coming to America for people who aren’t old enough to have seen Coming to America. 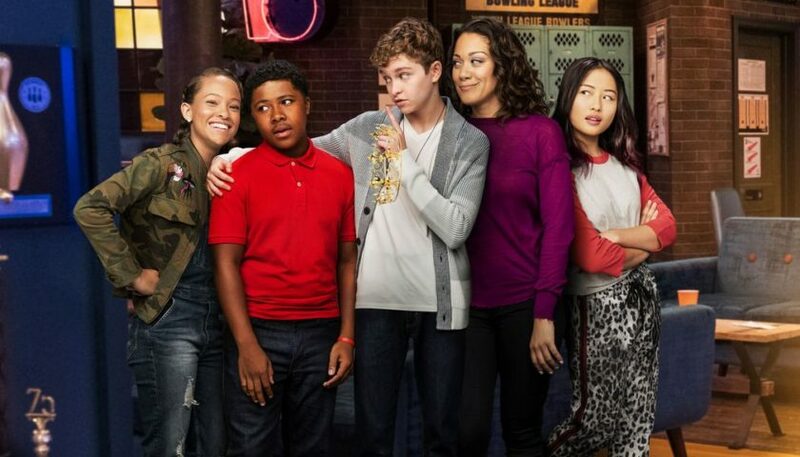 It’s also slightly reminiscent of Happy Together, a CBS sitcom that isn’t aimed at children but nonetheless finds its comedy in the wacky differences between people from wildly different backgrounds. That show is largely about celebrity culture rather than plain, old-fashioned royal privilege, but it works on mostly the same terms as Prince of Peoria. (Fun coincidence: Both visitors from distant lands happen to be white people infiltrating a black family.) Emil’s only understanding of life in the real world comes from those insufferable viral prank videos, so naturally he has no idea how to behave or blend in, but hark! He’s longing for normality and a childhood that isn’t determined entirely by royal decree, and of course, both kids have something to teach the other about themselves and how they live. You know better than I do if you – or, more likely, your kids – will be into Prince of Peoria. In a cold business sense, Netflix making a conscious effort to distract your children is admirable and welcome, so I can’t grumble. And I really like Cynthia McWilliams, so there’s that. But the thought in the back of my mind for most of the show was why parents don’t just show their kids Coming to America instead. I should re-watch that.